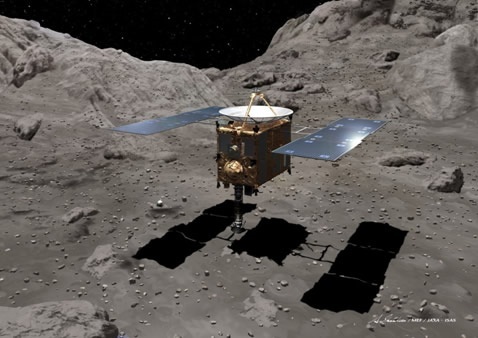 A space probe launched by the Japan Aerospace Exploration Agency (JAXA) is expected to land in the Australian outback late Sunday after a seven-year journey to a nearby asteroid. Scientists hope the probe will be carrying a sample from the asteroid which will mark the first time a spacecraft has returned to Earth with samples other than from the Earth’s moon. The probe named Hayabusa landed on the asteroid Itokawa two times in 2005 and after its long return journey will be landing a remote desert in Australia. Among the team to find and recover the probe will be indigenous Aboriginal elders to ensure that the landing of the device did not damage any sacred grounds. The probe is expected to have landed at 1400 GMT and hopefully contain information about the formation of asteroids as well as a successful test for technology used to return samples back to earth.